"Small Enough to Care . . . Large Enough to Prepare"
Annawan School District #226 encompasses K through 12 students from the communities of Annawan, Mineral and Hooppole. Students receive the best education possible while maintaining a social environment for the students to learn and grow into mature upstanding citizens. The teaching staff is supported with staff development programs and improvements to school facilities have enhanced their learning and work environments, while making the facilities a more striking aspect of the community. Students are encouraged to take an active role in acquiring the numerous skills that are introduced on each grade level. Emphasis is placed upon learning through hands-on experiences and interdisciplinary activities which link the curriculum areas and provide the children with an in-depth understanding of the community. The District is recognized for academic excellence in the area and region. In 2012, the U.S. News & World Report awarded the Annawan High School a bronze medal in the National Rankings Best High Schools and the Chicago Sun-Times ranked Annawan 46th out of 689 ranked high schools in Illinois. The schools motto has been exemplified in the number of students each year being accepted in universities, throughout the states plus the large number of graduates now working in the professional fields of medicine, law, engineering, and finance. 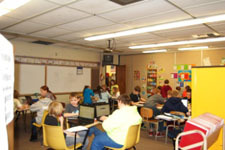 Annawan Grade School has been recognized by the State Board of Education with the Academic Excellence Award for five straight years, 2008 – 2012. We are a member of the IESA and belong to the Junior High Lincoln Trail Conference. 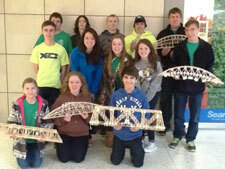 Regional educational field trips by grade are offered for students each year. Plays and musicals are a staple of the grade school arts endeavors. A 10-year tradition that fifth graders look forward to is the overnight reading carnival they theme each year is a surprise. A grade 1 through 8 reading carnival is also a highlight of spring time with a festive celebration with awards for all. The Kiwanis Club sponsors our B.U.G. (Bring Up Grades) Award for fourth and fifth grade student's achievements. Junior High offers students opportunity to participate in volleyball, basketball, cheerleading, track and field, student council, speech, scholastic bowl team, and maroon platoon. Our junior high band and chorus are active with winter and spring productions along with IESA ensemble and solo contests. Visit the Annawan Community School website to learn more. In the high school, students have a wide range of curricular and extra-curricular opportunities. The rigorous curriculum leaves high school student prepared for 4-year college, or vocational school. Students may choose from classes that include traditional agriculture and vocational opportunities or home building or welding in which they receive program credit through Black Hawk Community College. In addition to the traditional college preparatory classes, the district also offers many dual-enrollment courses which are taught locally. Eligible students often graduate with a year or more of transferrable credits from Black Hawk College. Extra-curricular activities range from academic to athletic. Students may compete in a bridge-building competition at Bradley University or take advantage of music opportunities ranging from Ukulele club for fun to auditioning for the Illinois Music Educators Association concert for challenge. In 2012 an Annawan student was selected to All-State Choir. FFA (Future Farmers of America) students participate in a wide variety of activities and competitions with frequent successes. 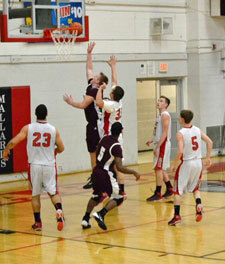 Annawan High School offers COOP fall and spring sports and basketball locally. In 2014 the coop girls cross country team placed 4th in the state. In 2013 the girls basketball team won 3rd place in the state and in 2014 brought home a 1st place trophy. Annawan CUSD 226 prides itself on being a small school with many big accomplishments. Many of the biggest accomplishments are the ones that don't make the headlines of a newspaper. The faculty and staff at Annawan take time to get to know students and try to help every student reach their potential both educationally and extra-circularly.